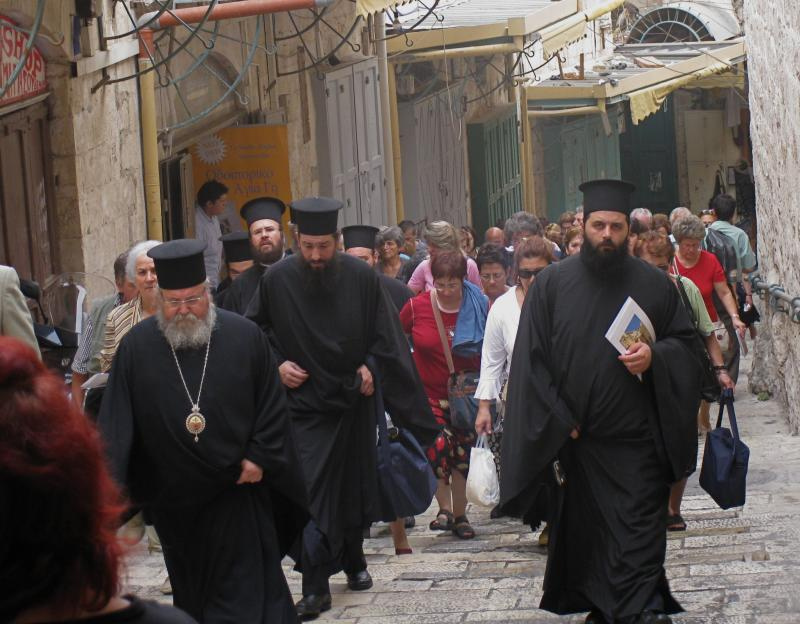 The first recorded pilgrim to the Holy Land was a bishop named Mileto, from Sardis in Asia Minor, around AD 160. 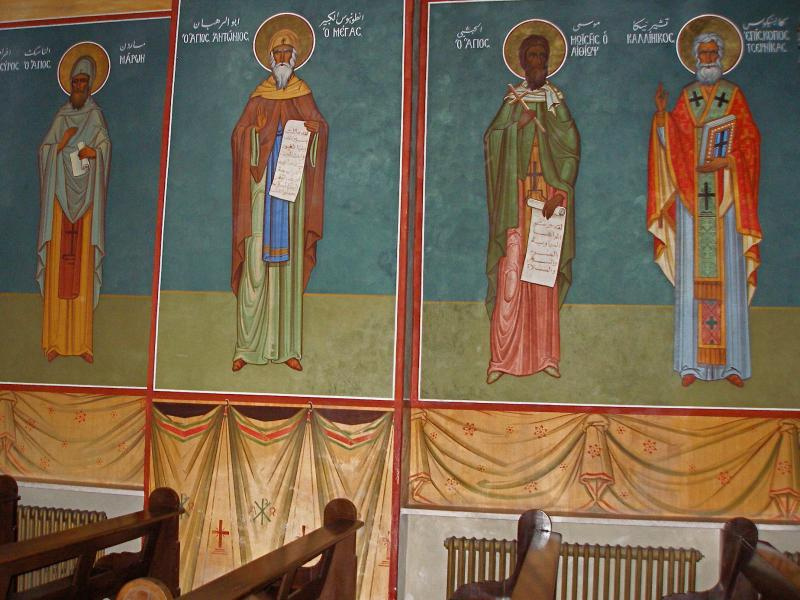 The 4th-century Church historian Eusebius relates that Bishop Mileto visited the holy places “where the Scriptures had been preached and fulfilled”. 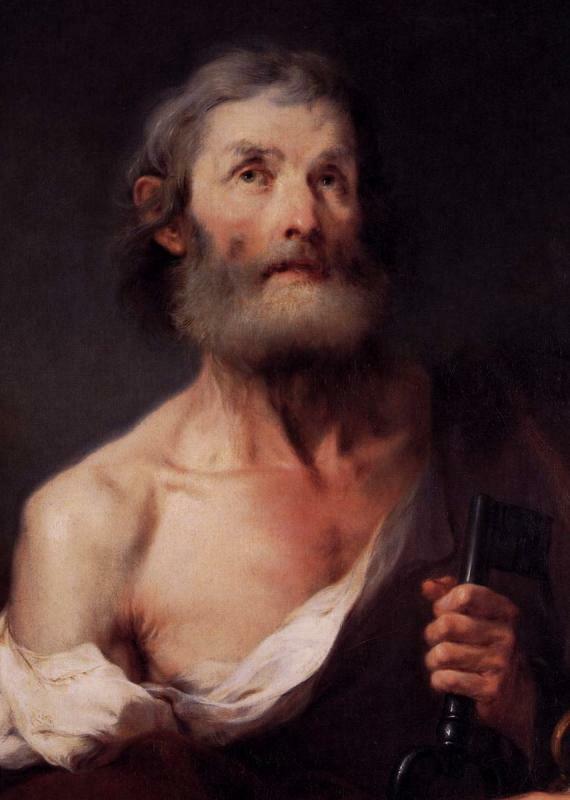 What follows on this page are glimpses of the experiences of some of the men and women, both ancient and modern, who have followed Melito’s example. 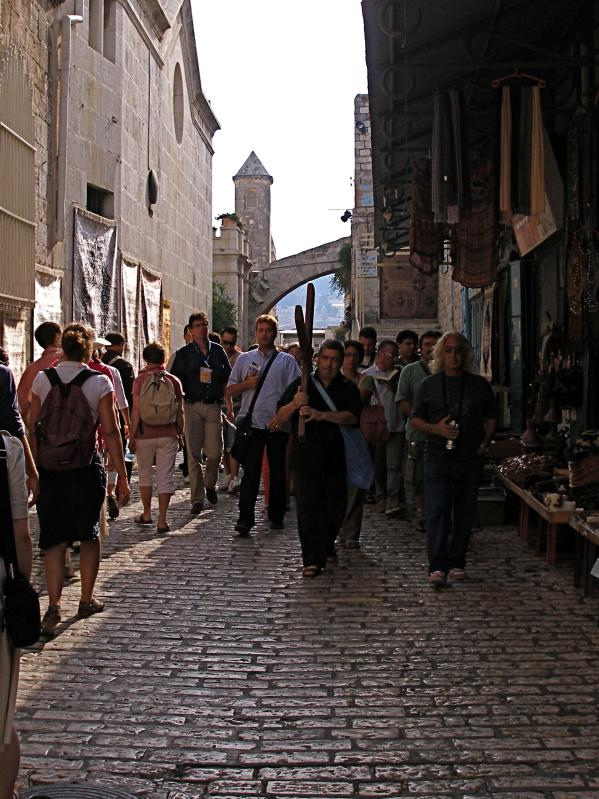 Their words may inspire you to visit the Holy Land — or enable you to make a virtual pilgrimage. Books and articles referred to are listed here. Those relevant to particular articles are listed at the end of each article. c. 5000-4000: Land of Canaan is occupied by Canaanites, then Amorites and Jebusites. 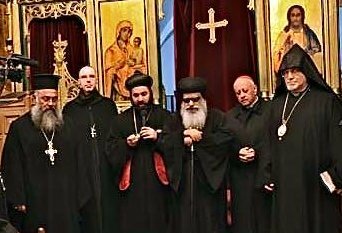 c. 2000: Founding patriarch Abraham and his tribe settle in what becomes Judea. 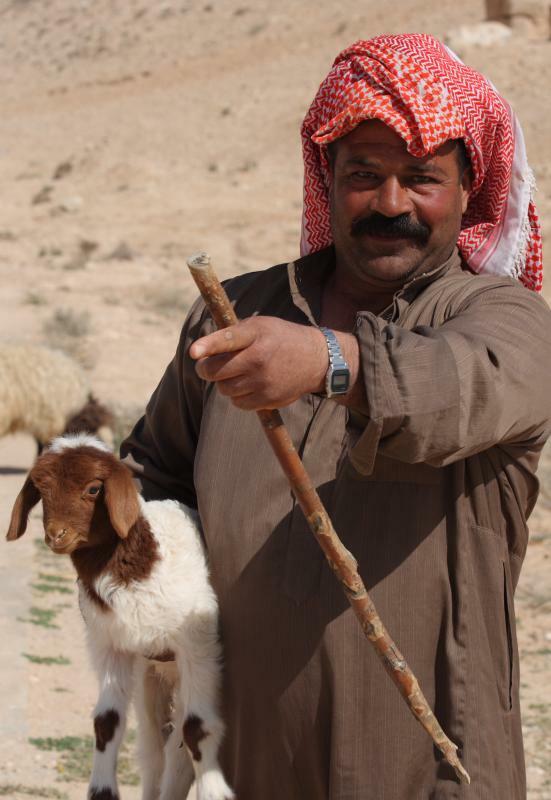 c. 1500: Abraham’s descendants, led by Joseph, settle in Egypt. c. 1260: Moses leads Israelites in Exodus from Egypt. c. 1200: Israelites under Joshua enter Promised Land. 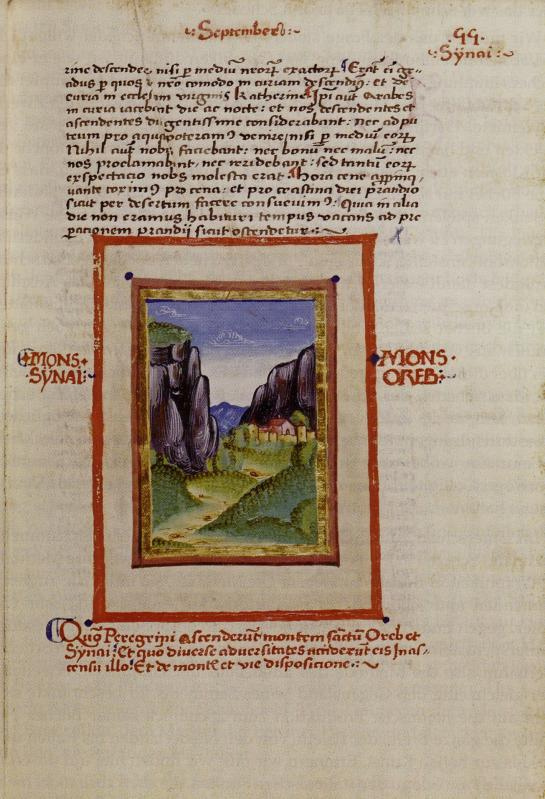 c. 1000: David captures Jebusite city of Jerusalem and makes it his capital. c. 970: Solomon builds First Temple. c. 930: Israel splits into northern kingdom of Israel and southern kingdom of Judah (including Jerusalem). c. 720: Northern kingdom conquered by Assyria and its 10 tribes sent into exile. c. 700: Southern kingdom’s King Hezekiah cuts tunnel from Gihon Spring to Pool of Siloam. 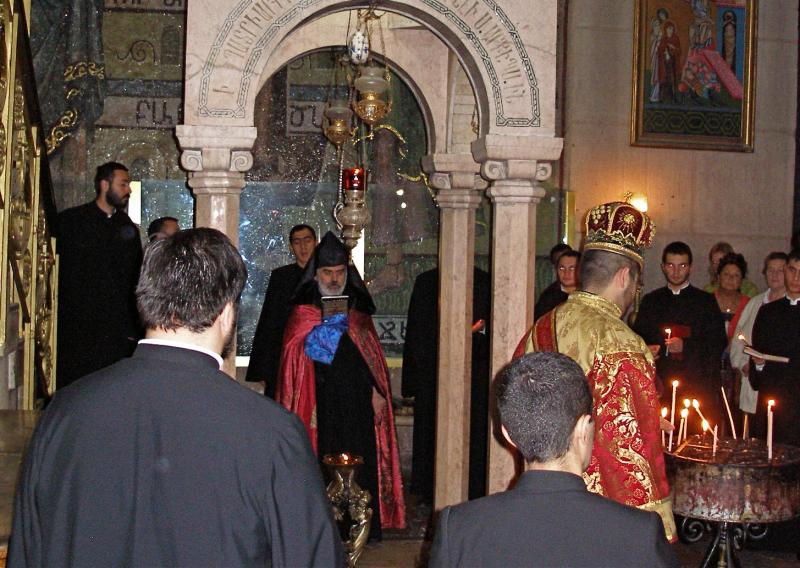 701: Assyrians conquer much of southern kingdom; Jerusalem is besieged but survives. 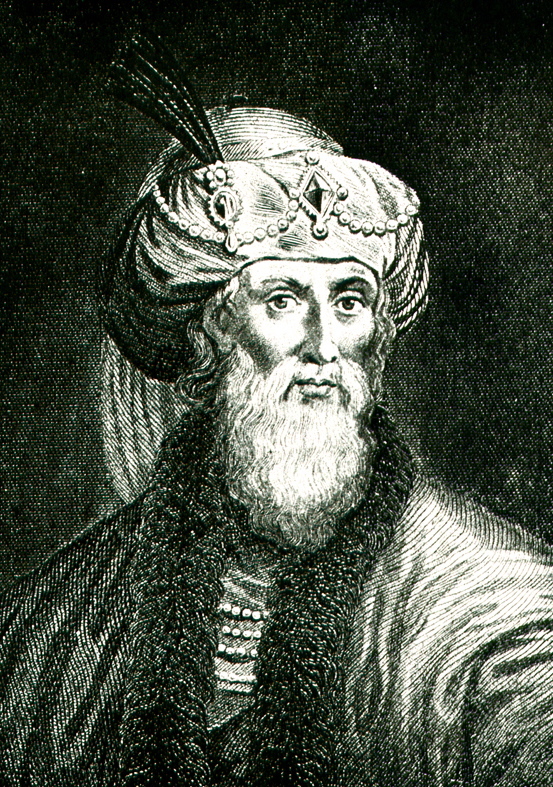 597: Nebuchadnezzar II of Babylon captures southern kingdom and Jerusalem. 587: Following rebellion, Nebuchadnezzar destroys Jerusalem and First Temple, deporting most of population to Babylon (in present-day Iraq). 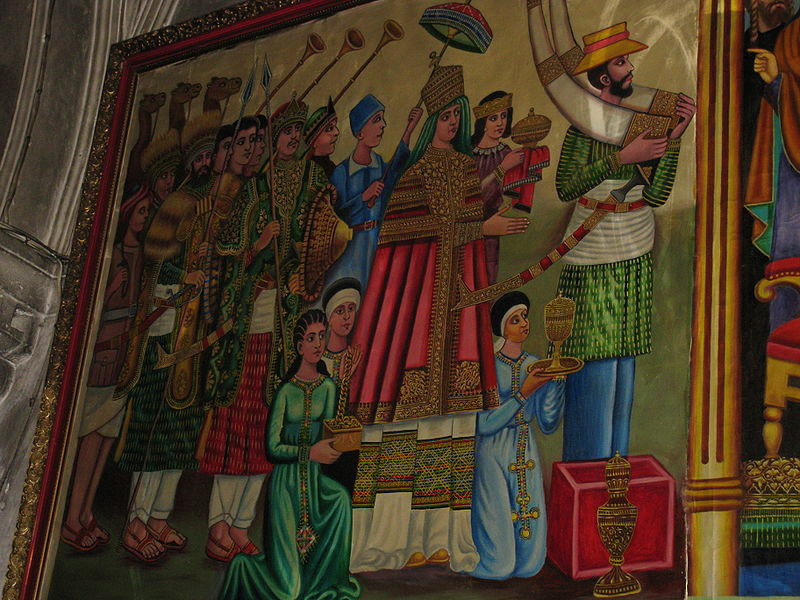 539: Cyrus the Great of Persia conquers Babylon and allows Jews to return from captivity. 515: Second Temple is completed. 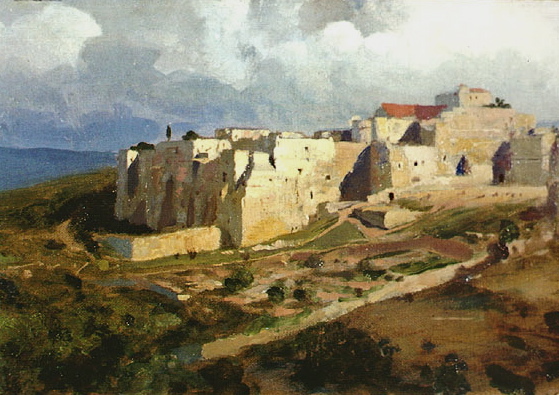 444: Nehemiah rebuilds city walls of Jerusalem. 332: Alexander the Great conquers Persian Empire, including all of Palestine. 323: Alexander dies and his kingdom is divided into four parts; Palestine falls under Ptolemaic Dynasty of Egypt, then under Seleucid Empire of Syria. 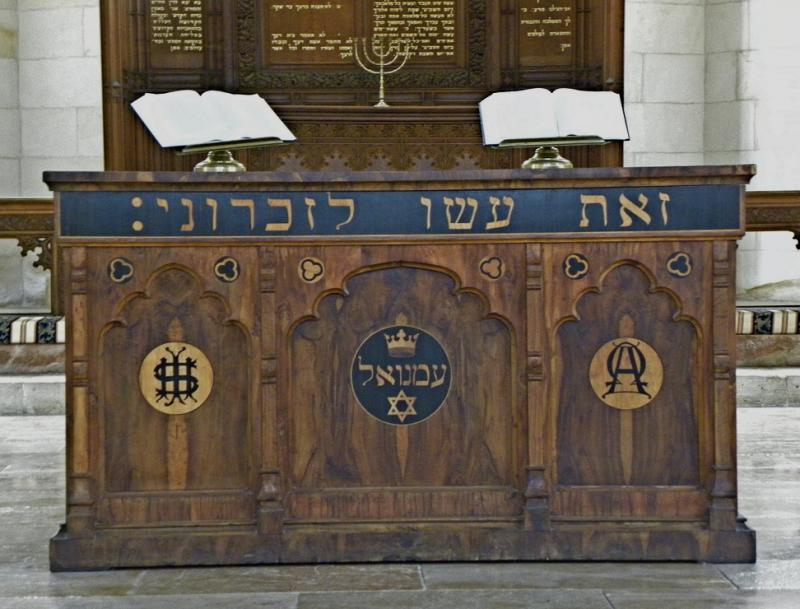 175: King Antiochus IV of Syria bans traditional Jewish practices and desecrates Temple. 167: Judas Maccabeus leads successful revolt against Seleucid Empire, rededicates Temple and restores religious freedom. 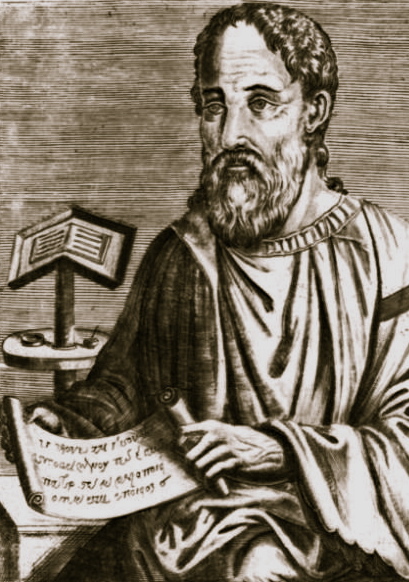 140: Simon Maccabeus, a brother of Judas, establishes Hasmonean Dynasty, which rules an independent Jewish kingdom for 103 years. 63: Rivalry between Simon Maccabeus’ great-grandsons, Hyrcanus II and Aristobulus II, brings civil war that ends with Roman general Pompey controlling the kingdom. 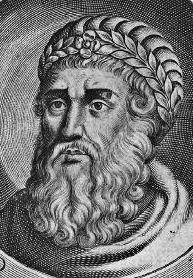 37: Rome proclaims Herod as King of Israel, now a Roman client state, ending the Hasmonean Dynasty. 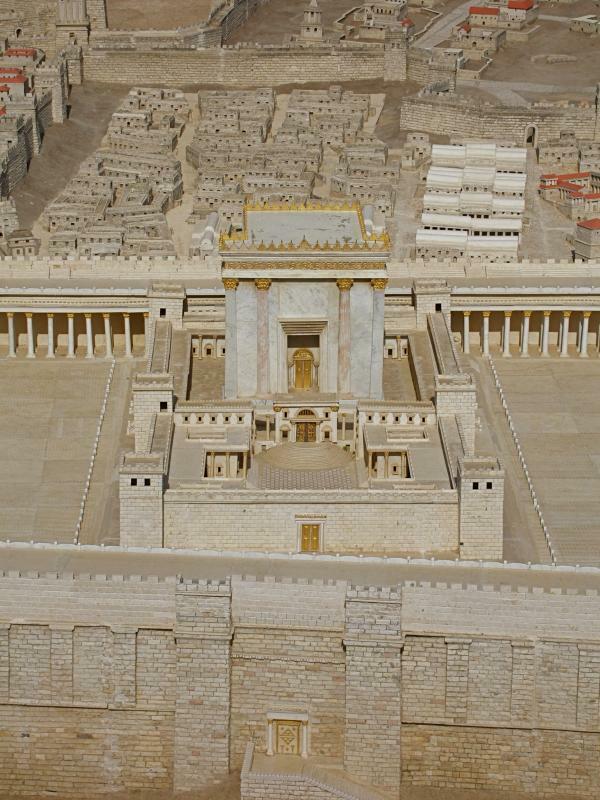 20: Herod expands Temple Mount and rebuilds Temple. 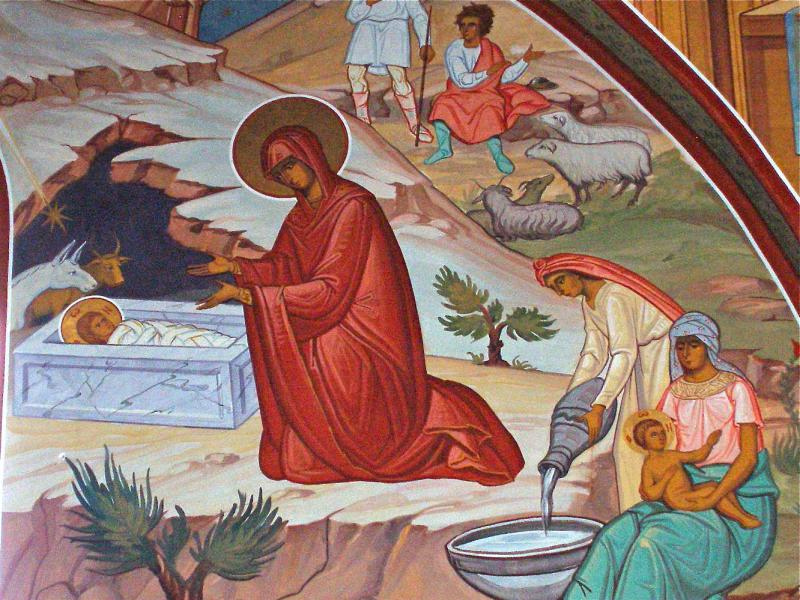 c. 6: Jesus Christ is born in Bethlehem. 4: Herod dies and his kingdom is divided among his sons, Philip, Antipas and Archelaus. 26: Pontius Pilate becomes procurator of Roman province of Judea. 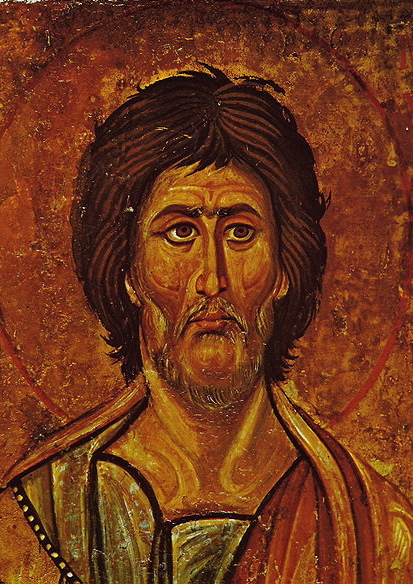 c. 27: Jesus is baptised by his cousin John the Baptist and begins his public ministry. c. 30: Jesus is condemned to death and crucified. 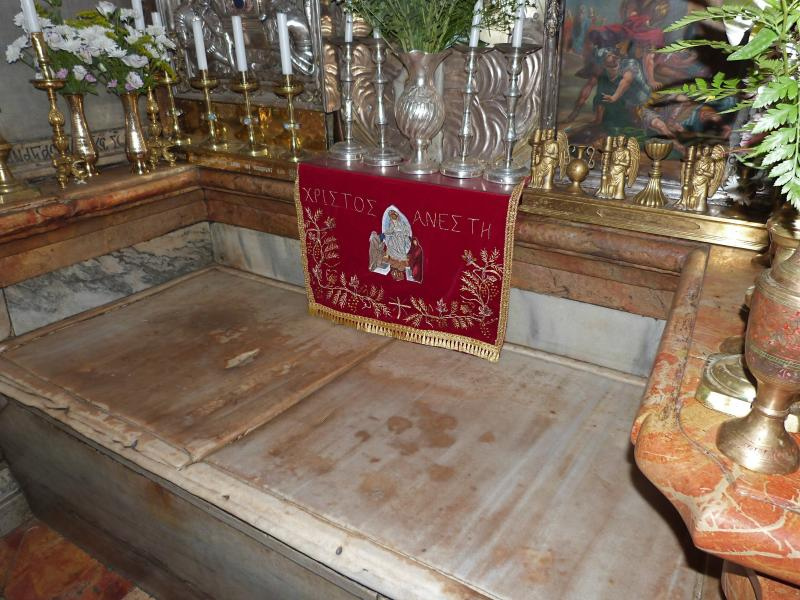 c. 32: Stephen, first Christian martyr, is stoned to death. 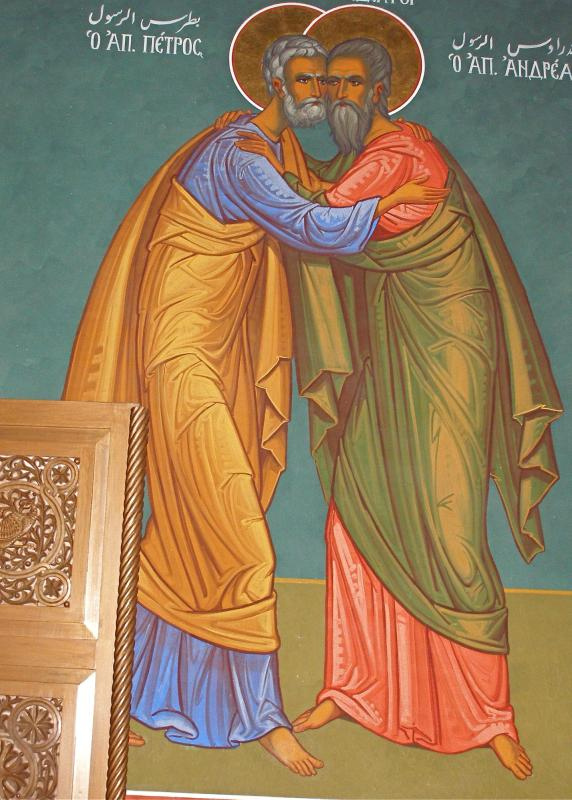 c. 34: Paul is converted on the way to Damascus. 41-44: Jerusalem’s “Third Wall” is built by King Agrippa I.
c. 50: Council of Jerusalem, first recorded council of Christian leaders, is held. 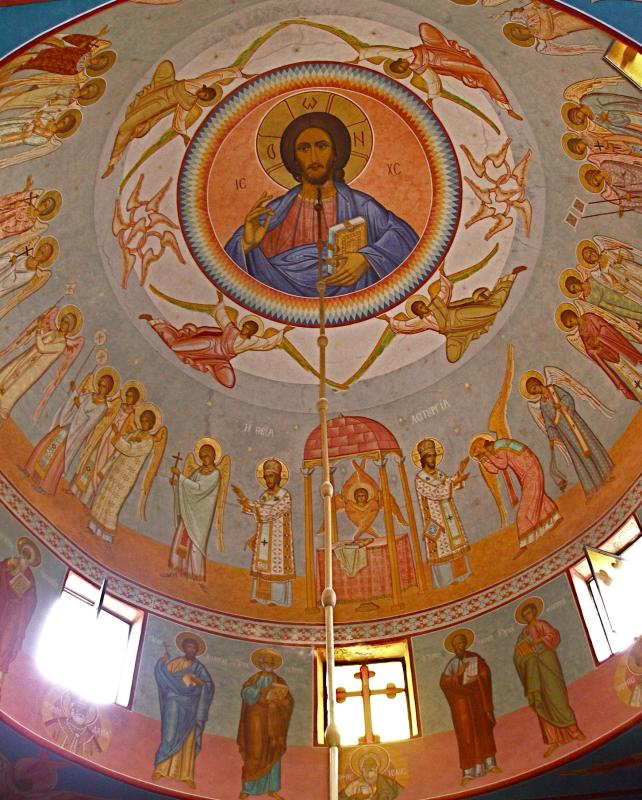 c. 45-120: Books of the New Testament are written. 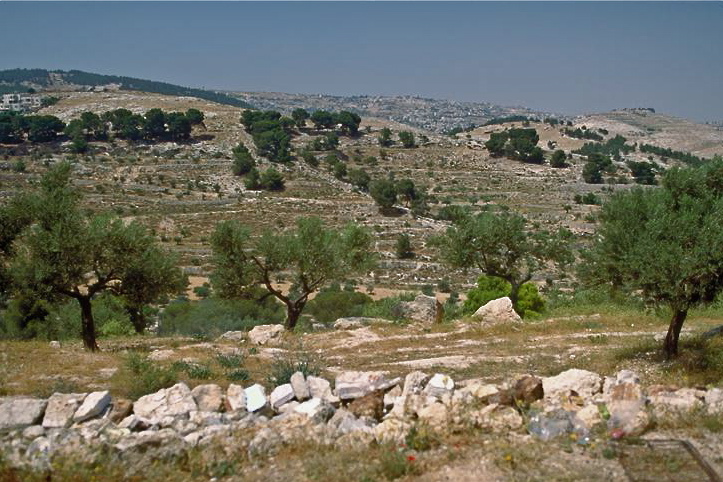 67: During First Jewish-Roman War, Christians in Palestine flee to Pella in Jordan. 70: Romans destroy Jerusalem and Second Temple. 73: Masada falls to Romans. 130: Emperor Hadrian rebuilds Jerusalem, renaming it Aelia Capitolina, and puts pagan temple over site of the Crucifixion and Resurrection. 135: Hadrian crushes Second Jewish Revolt and expels Jews from Palestine. 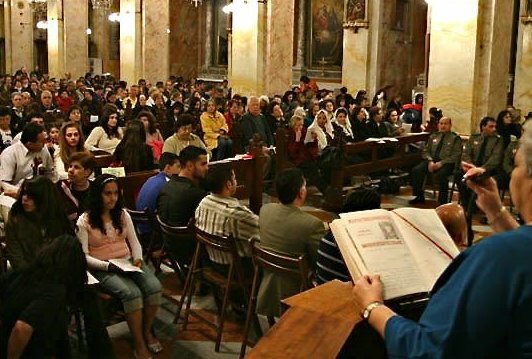 301: Armenia becomes first nation to make Christianity its state religion. 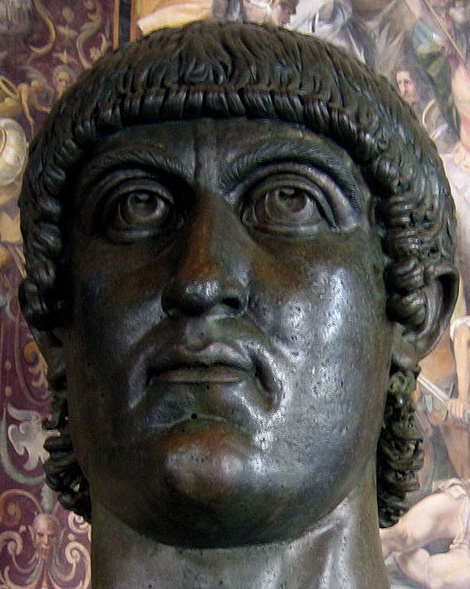 313: Emperor Constantine I legalises Christianity. 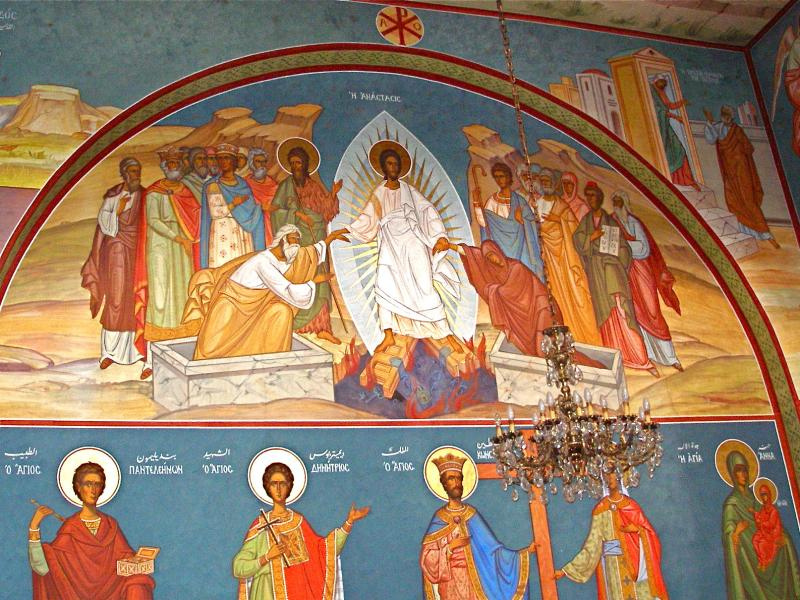 325: At Council of Nicaea, Bishop Macarius of Jerusalem asks Constantine to reclaim site of crucifixion and Resurrection and build a church there. 326-7: Constantine’s mother, Helena, visits Holy Land, finds True Cross and orders churches built on sacred sites; large-scale pilgrimages begin. 330: Constantine moves his capital from Nicomedia to Byzantium (renamed Constantinople, now Istanbul). 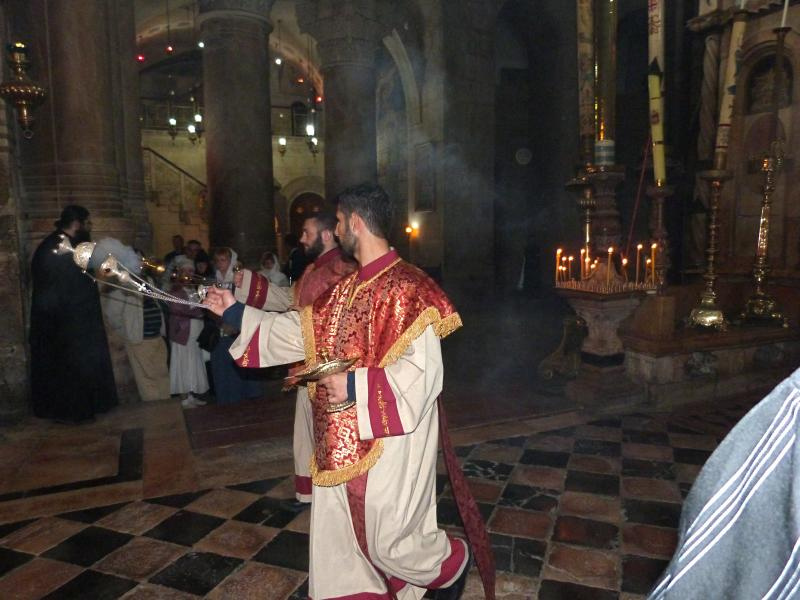 335: Church of the Holy Sepulchre is consecrated. 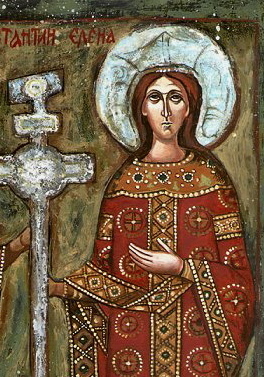 380: Emperor Theodosius I makes Christianity the religion of the Roman Empire. 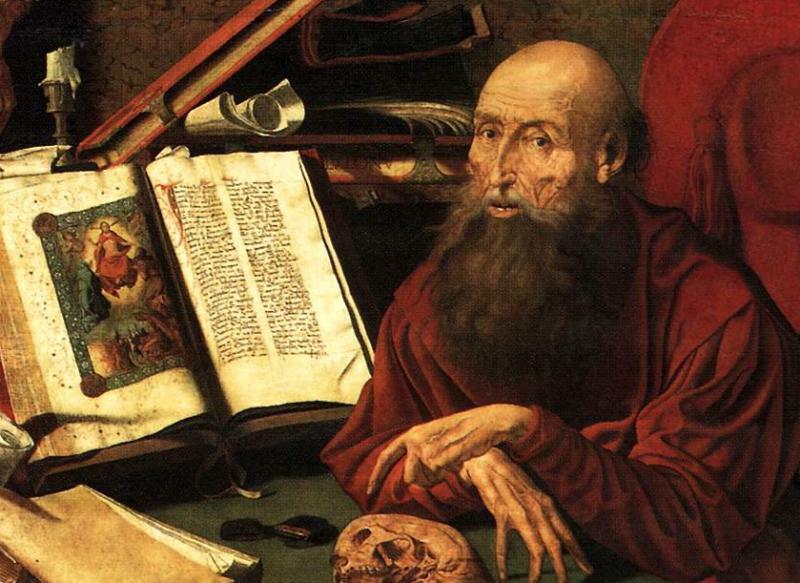 386-420: Jerome produces Vulgate translation of Bible in his Bethlehem cave. 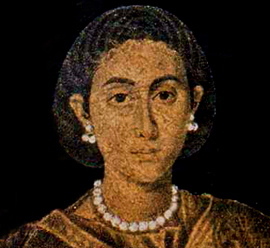 395: Roman Empire splits into East and West. 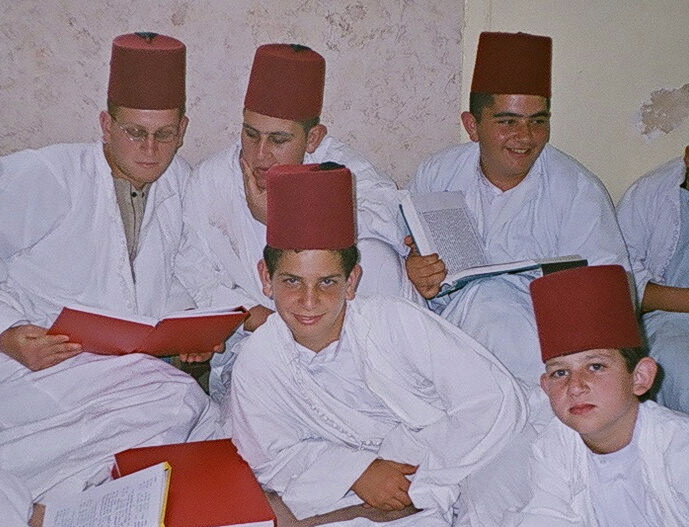 c. 500: Jerusalem Talmud completed by rabbinic schools in Galilee. 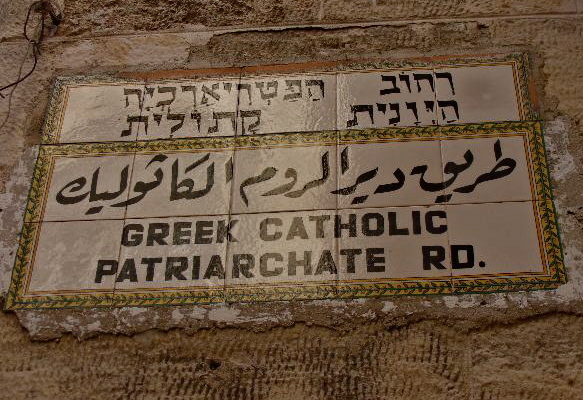 614: Persians capture Jerusalem, destroying many churches and burning Church of the Holy Sepulchre. 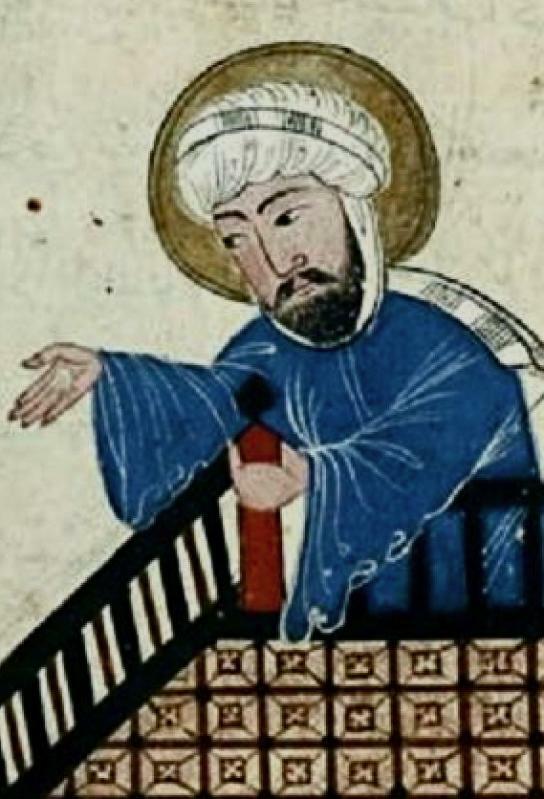 622: Muhammad escapes assassination in Mecca and flees to Medina, his flight marking first year of Islamic calendar. 629: Emperor Heraclius I re-establishes Byzantine rule in Jerusalem and recovers True Cross stolen by Persians. 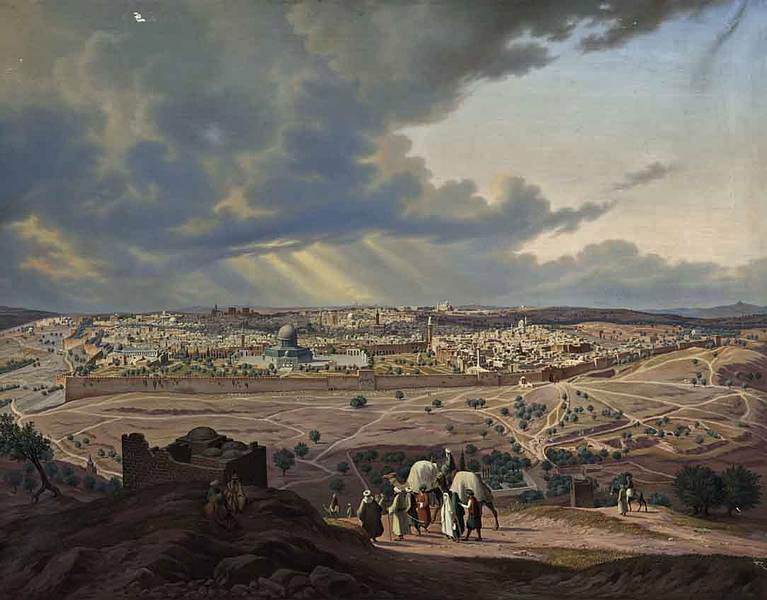 638: Islamic forces conquer Jerusalem, beginning rule by succession of Arab dynasties. 661-1000: Palestine variously ruled by Arab caliphs in Damascus, Baghdad and Cairo. 692: Dome of the Rock completed on Temple Mount. 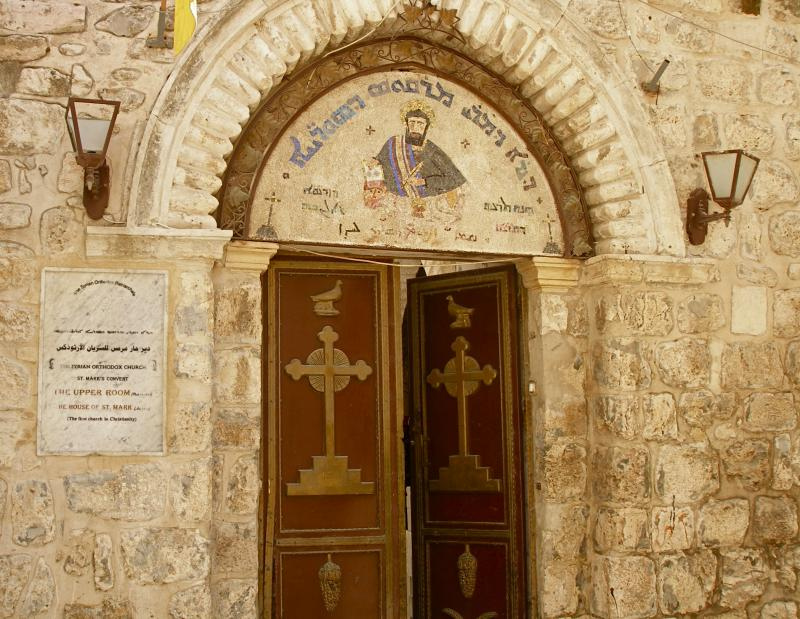 1009: Sultan al-Hakim destroys Church of the Holy Sepulchre. 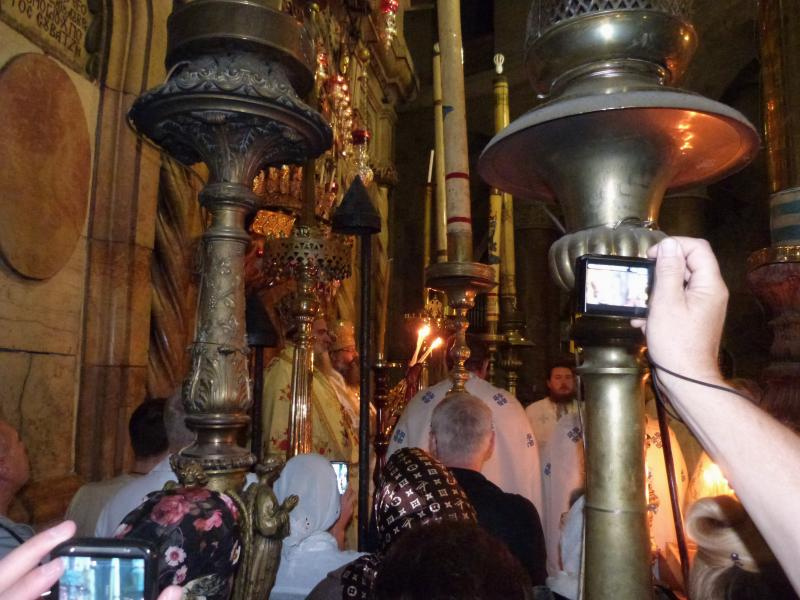 1048: Church of the Holy Sepulchre restored by Emperor Constantine Monomachus. 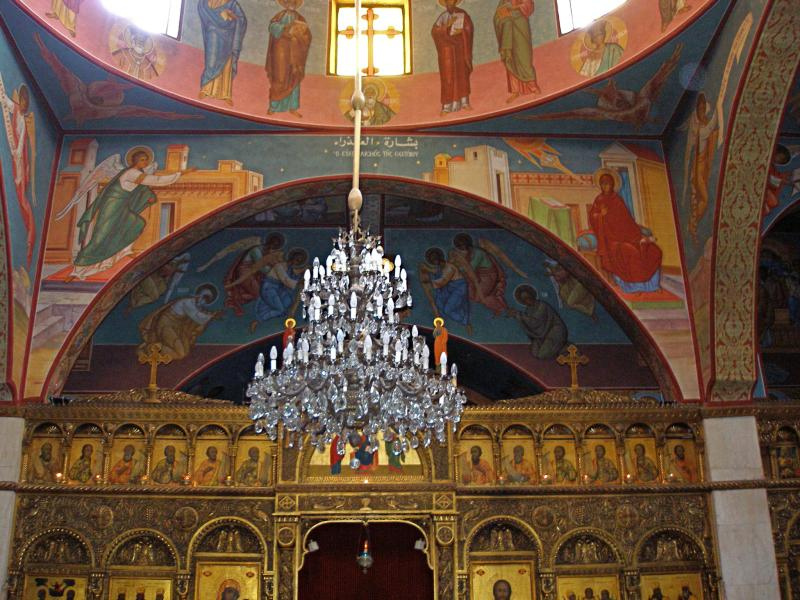 1054: Great Schism splits Christian Church into Eastern (Greek) and Western (Latin) branches. 1071: Seljuk Turks capture Jerusalem, persecuting Christians, desecrating churches and barring pilgrims. 1099: First Crusade captures Jerusalem and establishes Latin kingdom; Dome of the Rock becomes church called Templum Domini (Temple of the Lord). 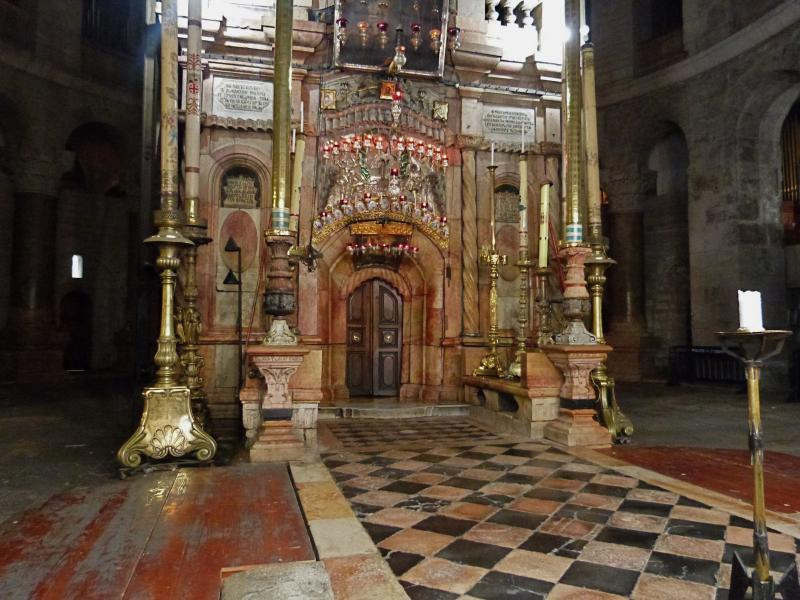 1149: New Church of the Holy Sepulchre completed. 1187: Sultan Saladin defeats Crusaders at Horns of Hattin above Sea of Galilee, then takes Jerusalem. 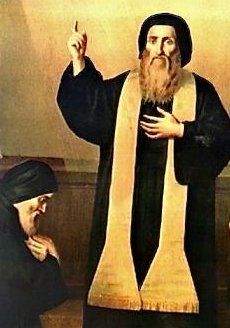 1219: St Francis of Assisi visits Egypt and meets Sultan Melek al-Kamil. 1229: During Sixth Crusade, Holy Roman Emperor Frederick II negotiates return of Jerusalem and other Christian sites to Crusader kingdom. 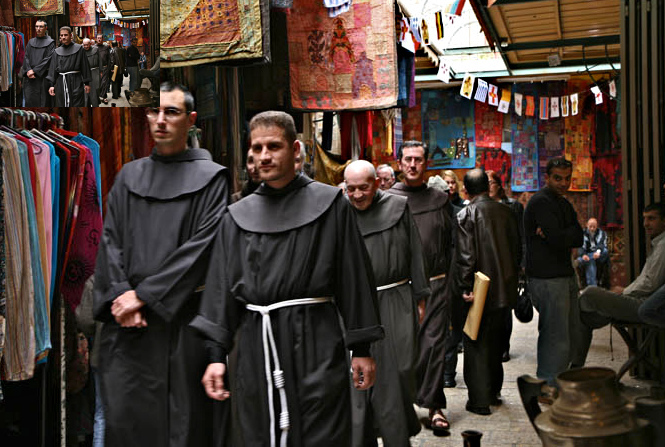 1229: Franciscans establish themselves in Jerusalem near Fifth Station of Via Dolorosa. 1244: Jerusalem is sacked by Khwarezmian Tartars; control quickly passes to Egyptian Ayyubids and then Mamluks, who rule until 1517. 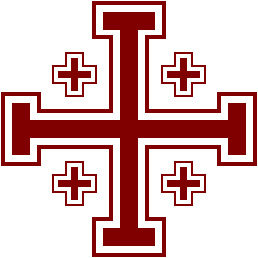 1291: Crusaders’ last foothold, Acre, falls to Mamluks. 1342: Pope Clement VI formally establishes Franciscan Custody of the Holy Land. 1517: Ottoman Turks take control of Palestine from Mamluks. 1517: Martin Luther begins Protestant Reformation in Europe. 1538: Sultan Suleiman the Magnificent builds present walls of Old City of Jerusalem. 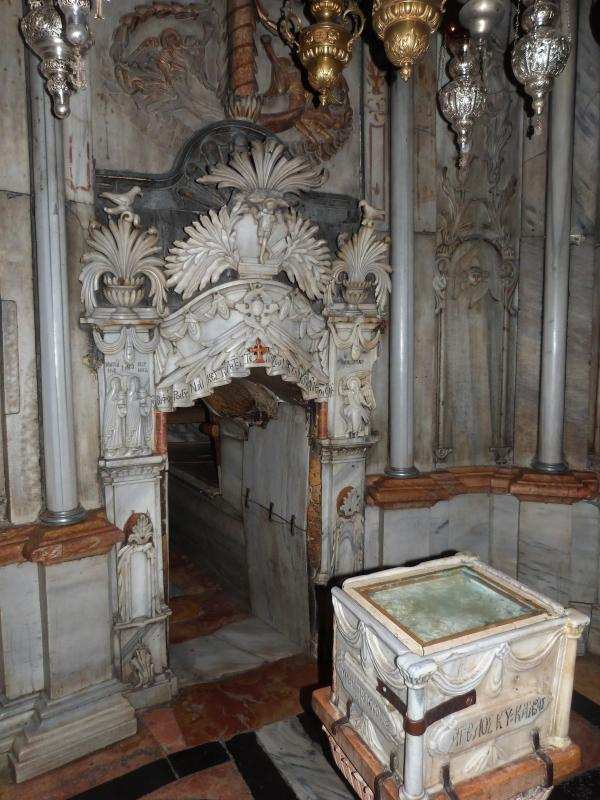 1757: Ottoman Turkish edicts give Greek Orthodox major possession of Church of the Holy Sepulchre and other holy places. 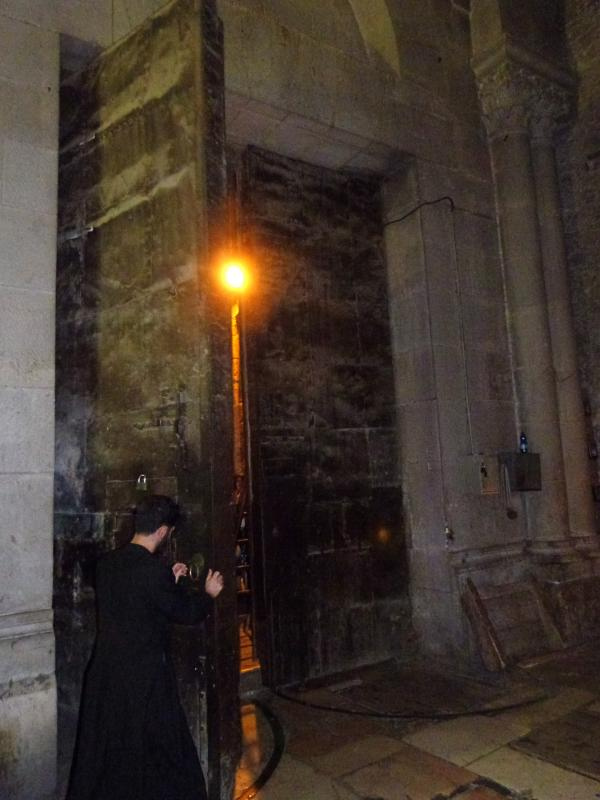 1808: Fire rages in Church of the Holy Sepulchre; Tomb of Christ is severely damaged when dome falls in. 1812: Swiss explorer Johann Ludwig Burckhardt rediscovers Nabatean city of Petra. 1839: British Jew Sir Moses Montefiore proposes idea of a modern Jewish state. 1842: First Anglican bishop of Jerusalem, Michael Solomon Alexander, a converted Jewish rabbi, arrives. 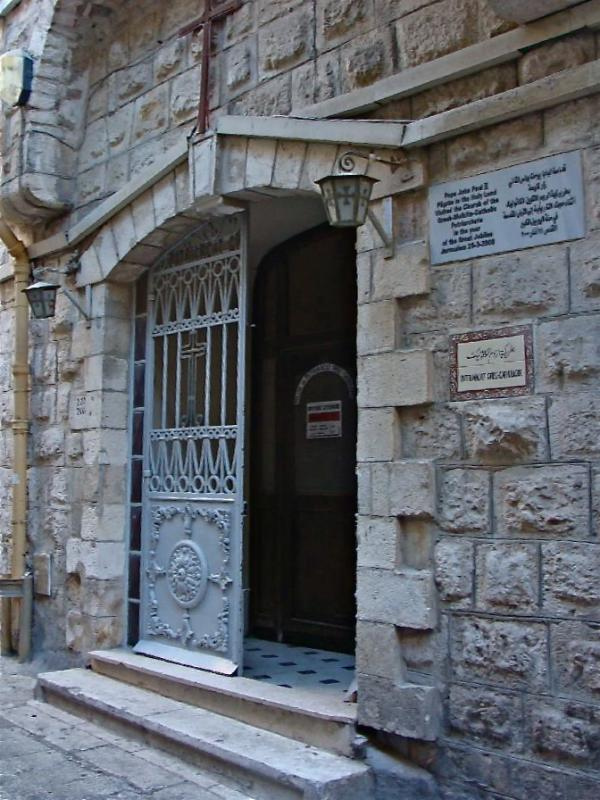 1849: Christ Church in Jerusalem, oldest Protestant church in Middle East, is built. 1852: Under pressure from Russia, Ottoman Sultan Abd-ul-Mejid directs that possession of holy places remains according to 1757 edict. 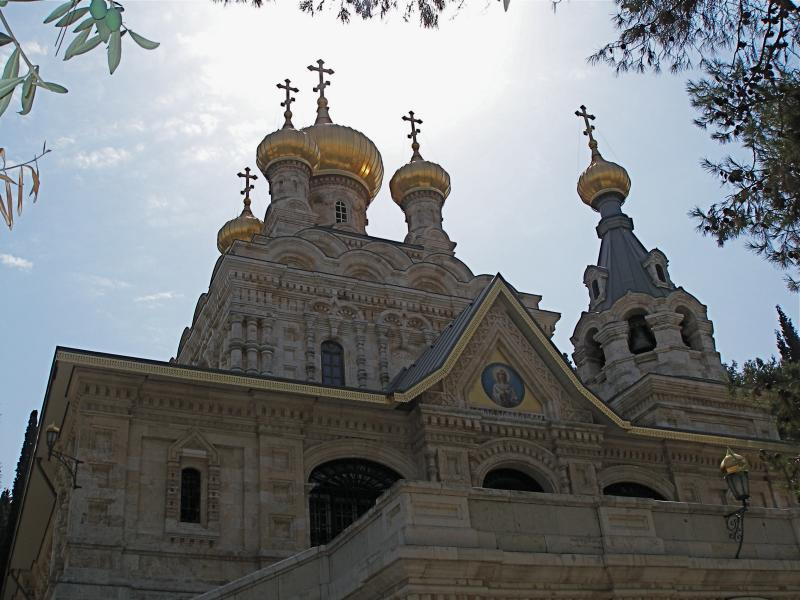 1853-56: Possession of holy places is one cause of Crimean War between Russia and major European powers. 1860: First Jewish immigrant neighbourhood outside Old City of Jerusalem is established, funded by Sir Moses Montefiore. 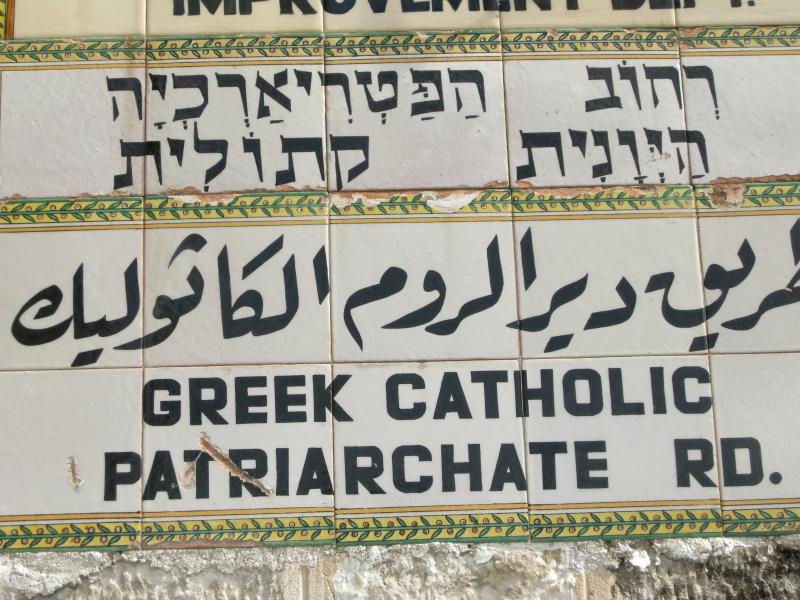 1878: “Status Quo” defining possession of holy places is incorporated into international law by Treaty of Berlin. 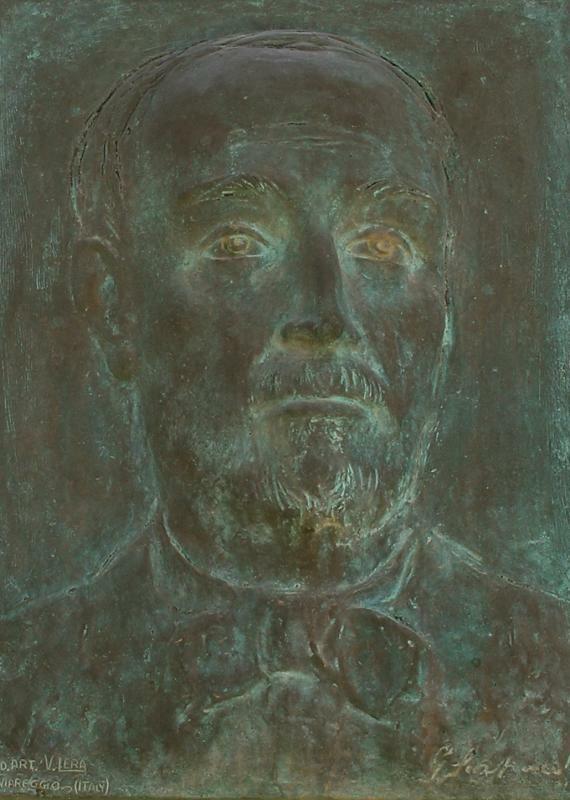 1883: General Charles Gordon proposes Skull Hill as Calvary and Garden Tomb as place where Christ was buried. 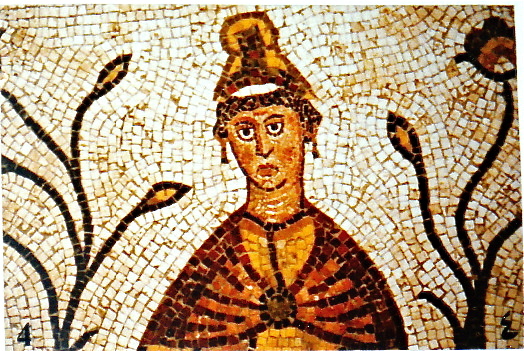 1884: Mosaic map of Holy Land discovered in floor of 6th-century church at Madaba, Jordan. 1909: Joseph Baratz and 11 others establish first kibbutz in Palestine, called Kvutzat Degania (“Wheat of God”), at southern end of Sea of Galilee. 1917: British government’s Balfour Declaration backs establishing Jewish homeland in Palestine, without prejudice to “civil and religious rights” of non-Jewish population. 1917: British forces under General E. H. Allenby capture Palestine from Ottoman Turks. 1922: League of Nations approves British mandate of Palestine. 1946: Jordan gains independence from Britain. 1947: United Nations Partition Plan calls for a Jewish state and an Arab state in Palestine, with Greater Jerusalem (including Bethlehem) under international control; most Jewish groups accept plan but Arabs reject it. 1947: Dead Sea Scrolls are discovered at Qumran. 1948: Amid civil unrest and violence, Britain withdraws from mandate. 1948: After Jewish provisional government declares Israel an independent state, Arab forces invade. 1949: Israel prevails in Arab-Israeli War, though Egypt holds Gaza, and Jordan the West Bank and East Jerusalem; more than 700,000 Palestinians become refugees. 1967: In Six-Day War against Egypt, Jordan and Syria, Israel occupies Sinai, Gaza, Golan Heights, West Bank and East Jerusalem. 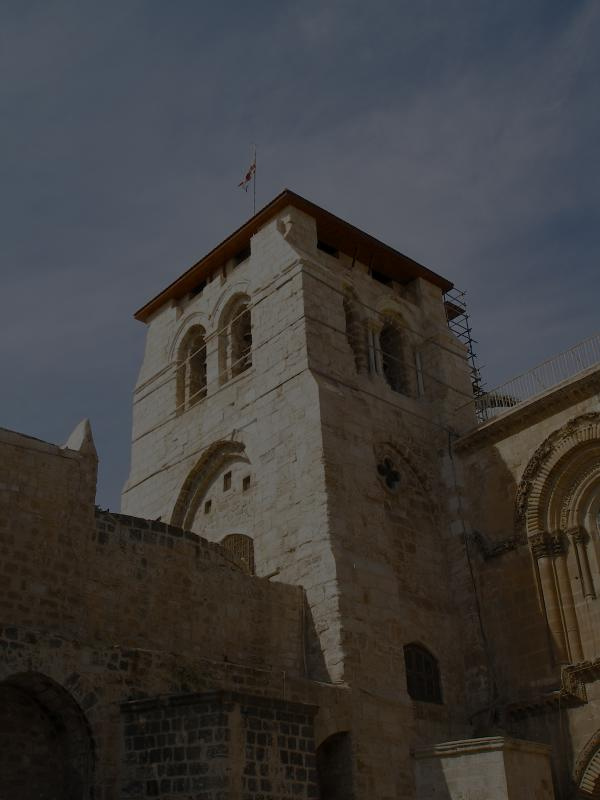 1969: Church of the Annunciation in Nazareth, largest Christian church in Middle East, is completed. 1973: In Yom Kippur War against Egypt and Syria, Israel makes further territorial gains. 1979: Israel and Egypt sign peace treaty; Israel agrees to return Sinai to Egypt. 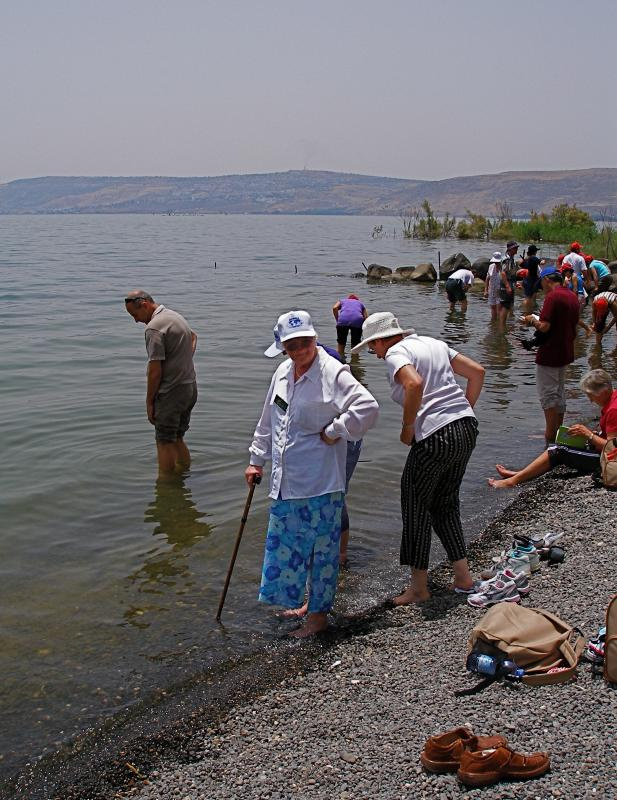 1986: Remains of fishing boat from time of Jesus found in Sea of Galilee. 1987-93: Palestinians carry out First Intifada (uprising) against Israeli occupation. 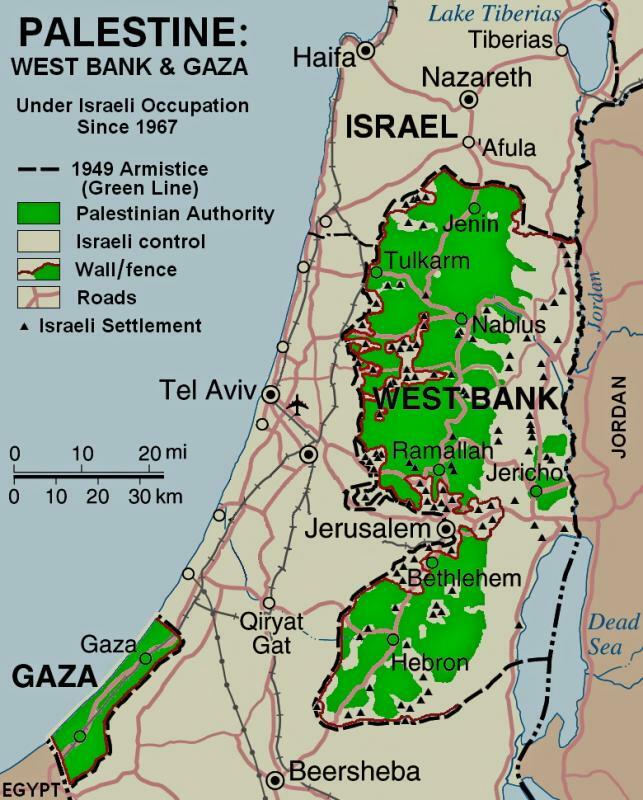 1993: Israel gives Palestinian National Authority limited autonomy in West Bank and Gaza. 1994: Jordan and Israel sign peace treaty. 1996: Excavations begin at likely site of Christ’s baptism, in former minefield at Bethany Beyond the Jordan. 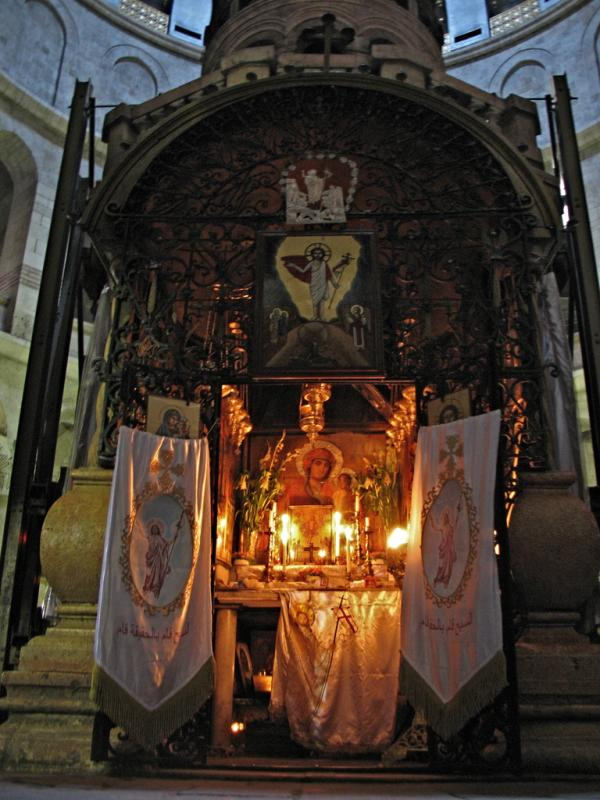 1997: Interchurch co-operation completes 36-year restoration of Church of the Holy Sepulchre; reconstruction of Tomb of Christ edicule remains to be done. 2000-05: Second Intifada follows controversial visit by Israeli politician Ariel Sharon to Temple Mount. 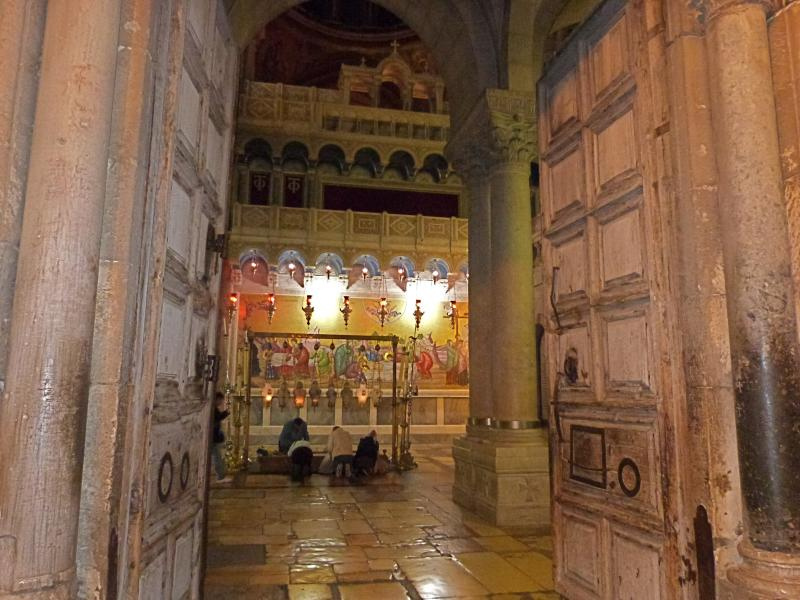 2002: Israel Defence Forces besiege Palestinian militants in Church of the Nativity, Bethlehem, for 39 days. 2002: Israel begins building 700-km West Bank separation wall. 2005: Remains of early 3rd-century church found at Megiddo. 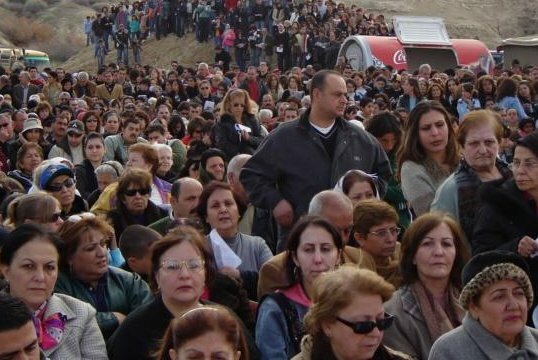 2005: Israel withdraws settlers and military from Gaza. 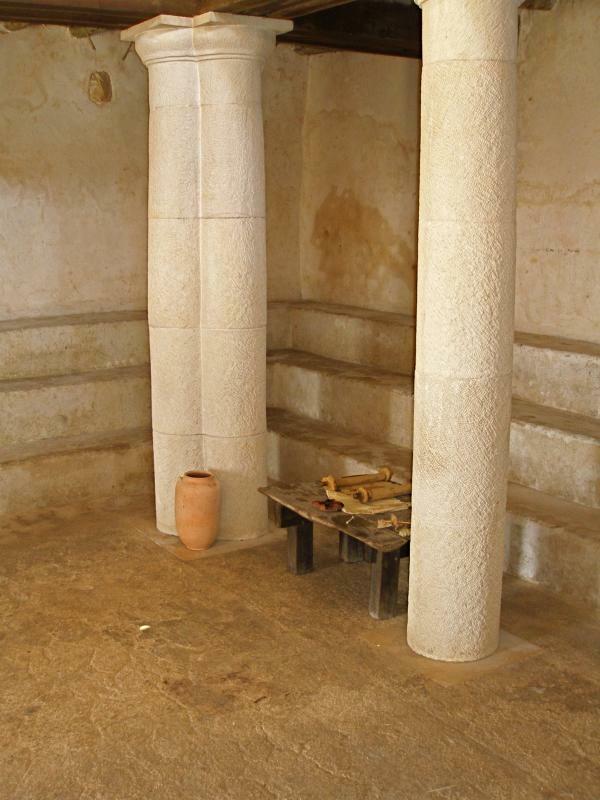 2007: Archaeologist Ehud Netzer discovers Herod the Great’s long-lost tomb at Herodium. 2008: Responding to rocket attacks, Israel launches 22-day war against Gaza. 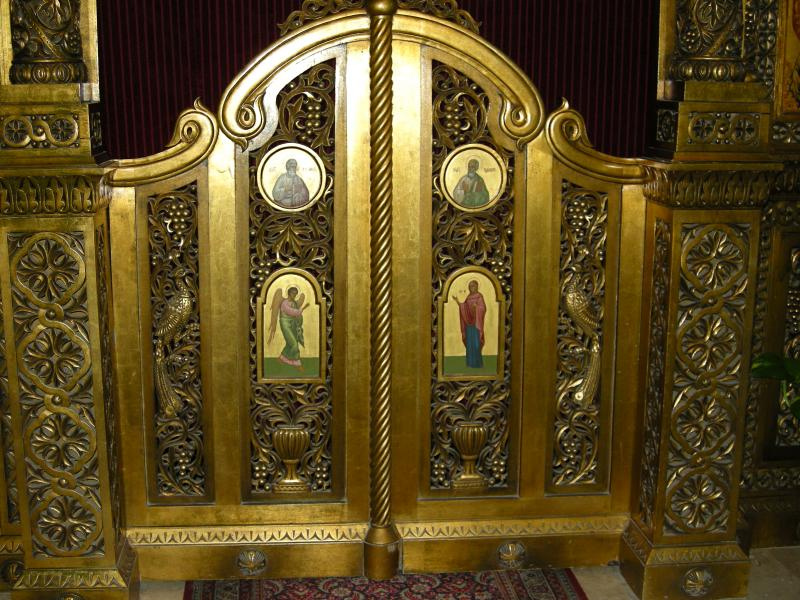 2009: Archaeologists in Nazareth uncover residential building from time of Jesus. 2012: United Nations General Assembly accepts Palestine as a “non-member observer state”. 2013: City of David excavators find clay seal inscribed with name of Bethlehem, first reference to the city outside the Bible. 2014: Discovery of nine previously unknown Dead Sea scrolls announced; the tiny texts were inside unopened tefillin (prayer cases) found at Qumran in 1952. 2014: Responding to rocket fire, Israel launches seven-week bombardment of Gaza. 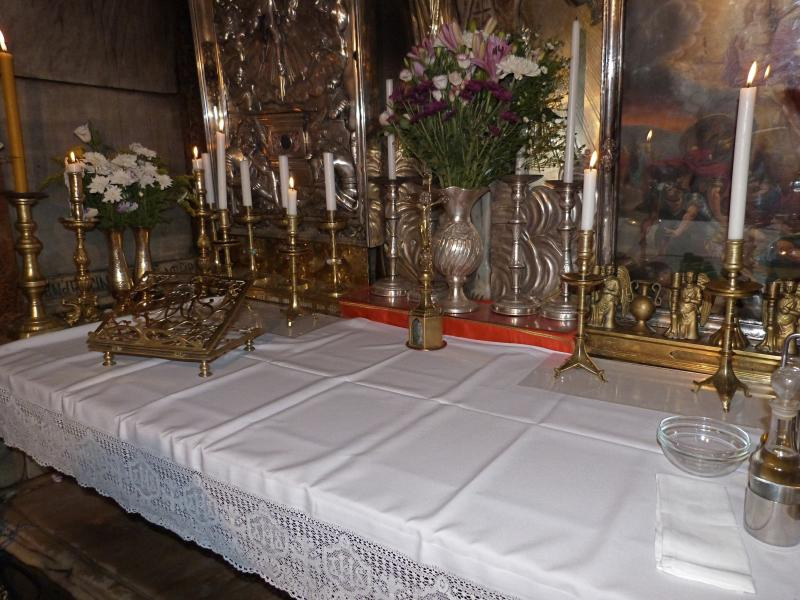 2017: Restoration of Tomb of Christ in Church of the Holy Sepulchre is completed.